Lightning are out of Tyrells title contention as Harlequins battle their way to a 26-10 victory. The match started with Lightning on the backfoot as Harlequins’ Jade Konkel darted through the Lightning lines to slot home in the first minute of the match, 5-0. Lightning were quick to retaliate with the swift hands of Emily Scarratt finding Carys Williams down the left wing to draw even, 5-5. As momentum built from both sides, a period of stalemate left both sides frustrated without a breakthrough. Over thirty minutes passed before Konkel struck again for Quins to close the half 12-5 with Ellie Green’s conversion successful. Twelve minutes into the second half , Vickii Cornborough slid across the whitewash for Quins to extend their lead 19-5 as Green converted once again. As the clock escaped Lightning, Quins scored on the 69th minute through the efforts of Leanne Riley. Green’s successful conversion took the score 26-5. 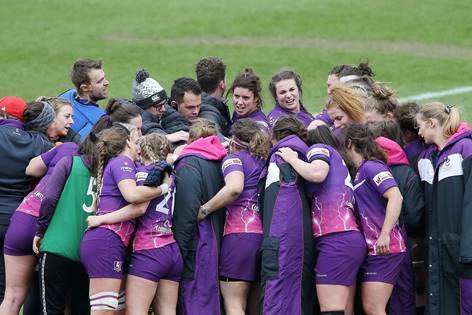 A glimpse of hope came from replacement Megan Davey who advanced Lightning’s score 26-10. Despite playing their hearts out it wasn’t quite enough for Lightning, who face heartbreak as Quins secure the win 26-10 progressing to this year’s Tyrells Premier 15’s final.